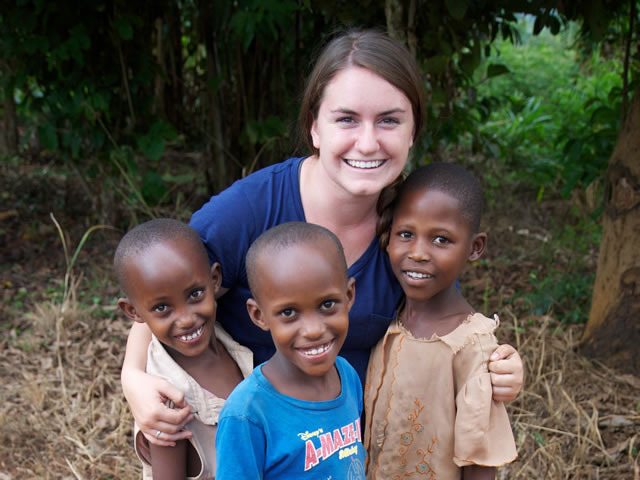 Empower A Child offers internship programs within our organization in the U.S., Uganda, and Kenya. These programs are designed for university/college students before, during, or after completion of their studies. Duties would include updating Empower A Child’s social network pages, working with the Communications Intern in Africa to keep blog and newsletters up to date, assisting in marketing campaigns fundraising events. Working directly with the Empower A Child office in Uganda, this placement would include creating bi-monthly newsletters, blogging on weekly activities of the organization, and working with our Social Networking Coordinator in the U.S. to give up-to-date information from the field for Internet communication and social networking. This placement would fulfill requirements, depending on your academic institution for courses of study, in Communications, Public Relations, and Marketing. You will have the unique opportunity to work directly with Empower A Child in this internship through its relationship with the safari company, View Africa Tour Specialists, which puts 100% of its profits back into the organization's programs. Responsibilities would include designing travel itineraries, assisting in coordinating safari activities, and booking accommodations. Education majors have the option to conduct their student teaching in Africa. Student teachers would be placed at a primary or high school and follow specific curriculum designed by the country. They would have the opportunity to bring teaching techniques and resources they have learned through their college. Typical teaching methods used in the U.S. may not be used in Uganda or Kenya but could dramatically help improve students performance in class.